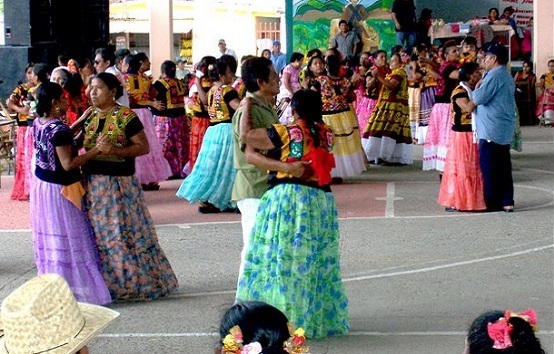 Chontal languages are one of many languages spoken in Oaxaca state, southern Mexico. They are genetically unclassified languages, although some scholars suggest they be grouped together with other languages in a Hokan stock. Our exercises and examples show Lowland Chontal, an endangered language with only around 200 mostly elderly speakers. Its sister language, Highland Chontal is similarly endangered. Tequis-lateco, a third variety of Chontal, is already extinct. All speakers of Chontal also use Spanish – the dominant language of the area – to communicate with members of other language communities and in official situations. Multilingualism is a natural phenomenon in most regions of the world. Learn more about it from the Book of Knowledge (Chapter 7). On both sites you can find, among others, a word list with audio recording (words given in Spanish and translated into Chontal) and text as PDF (words in Spanish, Chontal, and English) and a short funny story about an attempt of courtship that didn’t work, as audio recording in Chontal with an English translation as PDF. Where does full face go? Search for Chontal on the Interactive Map and find out! Browse the DoBes Archive and find a lot more material showing the musical side of the Chontal community life.